On 3 December 2013, a team of 5 Rentwise engineers arrived at MGS to deliver and setup 43 units of refurbished HP workstations as part of its continuous commitment in ensuring Information Technology accessibility to all. This community outreach project is our recent CSR effort in working with a national school, after the ground breaking successful implementation of a similar project with St. Mary’s School. How did this project come about? It was truly a fortuitous event. “I was browsing St. Mary’s school’s website when I read about their recently setup computer lab,” says Alex, the President of MGS’s Parent Teacher Association (PTA). 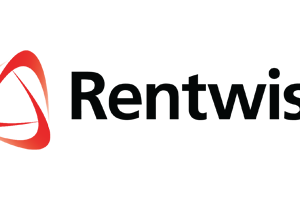 “I then found myself at Rentwise’s CSR web page and it appears that Rentwise is actively supporting and expanding its CSR program. That was it!” Alex enthuses, as he has run into many obstacles previously trying to secure sponsorship for the school’s computer lab. As a sensitive and forward thinking organisation, we believe in giving back to the community through various ground events, programs and projects. We would like to keep a close touch with society by making our presence felt at every level of the community, especially the younger generation. Thus, when and where budget permits, we try to support one needy school every year, mainly missionary schools. These are mostly schools among the last to receive any kind of allocation for computers required by students to carry out their computer studies as part of the national school curriculum’s (KSSR) Science & Technology subjects. MGS Klang Primary School was chosen particularly as they are located near to Rentwise headquarters. We anticipate some of our staff would send or are already sending their children to this school. This contribution would then help greatly in enriching these children’s education process. However, we would like to do more. The school still needs 15 laptops for their teachers. One possible means to fulfil this pressing need will be through corporate sponsorship. We are urgently seeking companies who are considering refreshing their existing laptops. We invite these companies to contact us so we can carry out the refurbishment activities on these laptops before deploying them to the school.